From Memphis to Vegas/From Vegas to Memphis is the thirty-fifth studio album by Elvis Presley released on RCA Records (LSP 6020) in November 1969. 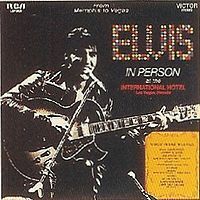 The set was issued to capitalize upon the success of Presley's previous album, From Elvis in Memphis, and his newfound success as a headliner in Las Vegas. It is Presley's first double album, and it peaked at #12 on the Billboard 200.